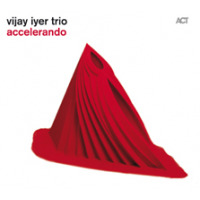 Pianist Vijay Iyer's poly-stylistic take on the jazz tradition has fostered collaborations with a wide spectrum of artists, including M-Base founder Steve Coleman, avant-garde legend Roscoe Mitchell and experimental hip-hop conceptualist Mike Ladd. As a self taught musician with a B.S. in Mathematics from Yale and a Masters in Physics and Ph.D in Technology and the Arts from UC Berkley, Iyer brings a visionary sensibility to his projects, always capturing the prevailing zeitgeist. 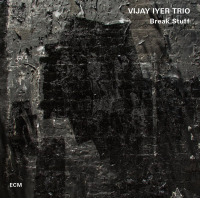 Tragicomic is Iyer's fourth recording with his longstanding quartet and first for Sunnyside Records. Similar to his previous quartet album, Reimagining (Savoy, 2005), this set includes a handful of trio tracks and a lone solo piano meditation. 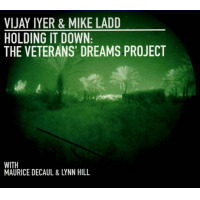 Iyer's return to an independent label is also a return to a more forceful sound, one that reflects the turmoil he observes in our current society. 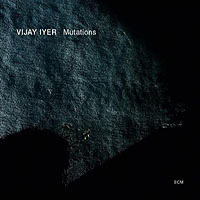 Rippling with an undercurrent of rhythmic turbulence, Iyer's compositions reflect his seminal involvement in the M-Base collective. Syncopated polyrhythms, hyperactive metric modulation and odd metered tempos are the kinetic foundation of his systematic approach. With an expansive mindset, he moves beyond his cerebral beginnings to embrace traditional harmonies and thematic development with a sweeping sense of bittersweet melody. Bassist Stephan Crump and drummer Marcus Gilmore navigate multiple time signatures, offer harmonic counterpoint and vary timbral dynamicsoften in tandem. As Iyer's longstanding foil, alto saxophonist Rudresh Mahanthappa's acerbic, brassy tone and blistering, circuitous salvos comprise an integral part of the group's sound. Sons of Indian immigrants, Iyer and Mahanthappa's symbiotic accord is incomparable. Their interlocking phrases spiral into poignant barbs on the frenetic "Macaca Please (coined after former Virginian Senator George Allen's historic slur)," coalesce with visceral intensity on the cyclical arpeggios of "Machine Days," and spin knotty contrapuntal lines on the shadowy algorithms of "Without Lions." 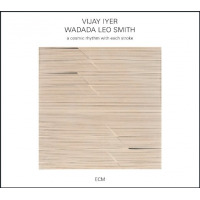 Iyer's virtuosic pianism ranges from the silver-toned lyricism of "Mehndi" to the ascending tension of "Threnody." One of four parts of the Tragicomic suite, inspired by a quote from Cornell West and commissioned by Chamber Music America ("Aftermath," "Without Lions," "Machine Days"), "Threnody" demonstrates the quartet's vast dynamic range as they languidly build to a climax of ecstatic emotion. "Aftermath" blossoms with simmering romanticism, a robust impressionistic excursion that reveals Iyer's ability to coax subtle variations from a heartrending theme. Bud Powell's buoyant "Comin' Up," the ebullient Latin-inflected "Age of Everything" and the oblique funk of "Window Text" are empathetic trio selections, full of interactive brio. "I'm All Smiles" is a graceful solo piano excursion that displays the leader's formidable grasp of tradition. "Becoming" closes the album on an optimistic note, with spiritual overtones. As Iyer writes in the liner notes, "A tragicomic outlook can ease our pains of metamorphosis and help us dream the next phase into being." A stunning achievement, Tragicomic is one of the year's best albums. Track Listing: The Weight of Things; Macaca Please; Aftermath; Comin' Up; Without Lions; Mehndi; Age of Everything; Window Text; I'm All Smiles; Machine Days; Threnody; Becoming. 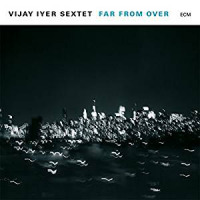 Personnel: Vijay Iyer: piano; Rudresh Mahanthappa: alto saxophone (1-3, 5, 6, 10, 11); Stephan Crump: bass (1-8, 10-12); Marcus Gilmore: drums (1-8, 10-12).